Keep the Midlands Beautiful is a local non-profit that is under Keep America Beautiful. While black&hue did not design the logo, we did coin their tag line: Good Clean Fun. In 2012, we worked with the Executive Director to help name their annual gala: Gala for a Greener Midlands and continue to design the exquisite print materials each year. 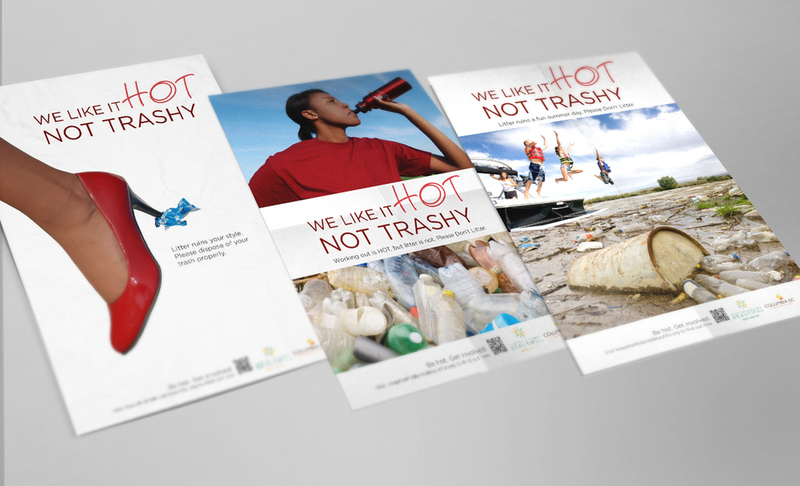 We designed posters, t-shirts, koozies and other materials for the campaign "We like it HOT not Trashy." 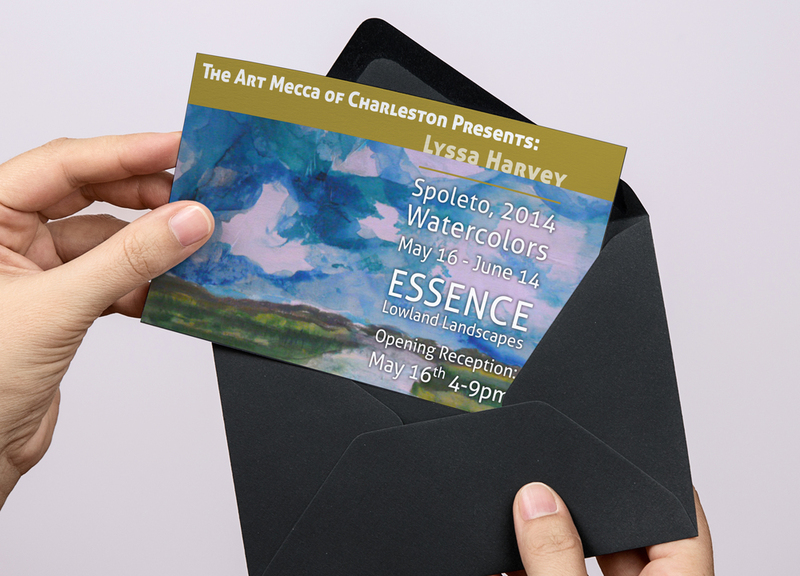 We have also redesigned their letterhead and other promotional membership materials. Through the years we have been excited to help create print materials to help them further their mission. The mission of Keep the Midlands Beautiful is to engage, inspire and educate the Midlands to invest in our community through litter prevention, recycling, and beautification. 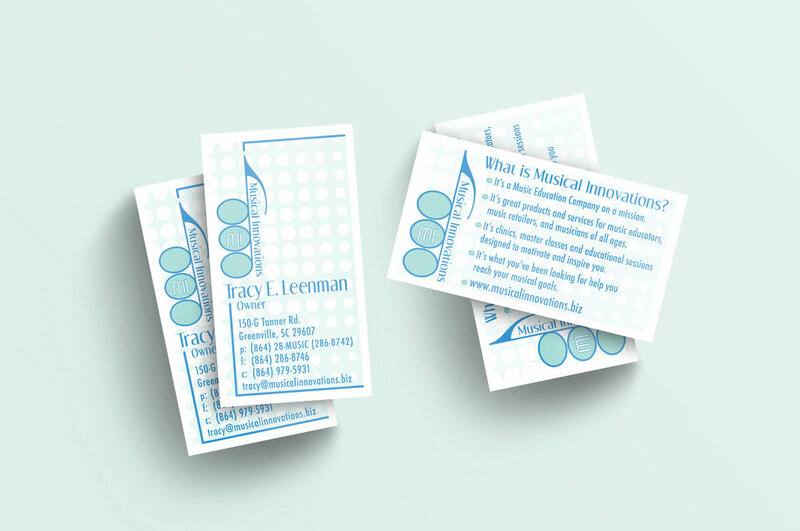 black&hue worked with Tracy Leenman, owner of Musical Innovations, to help create branding for this SC Woman Owned business. 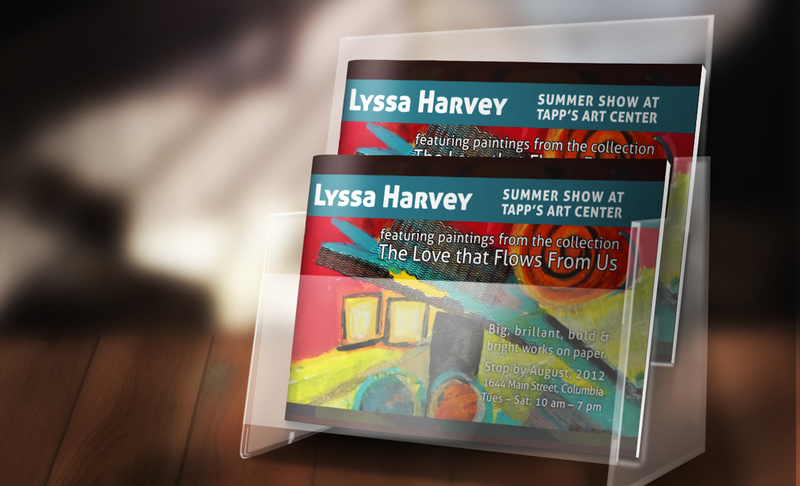 We chose blue and teal to help attract customers and to portray the friendliness of this company. We also created the logos for the sub-lines that MI carries. 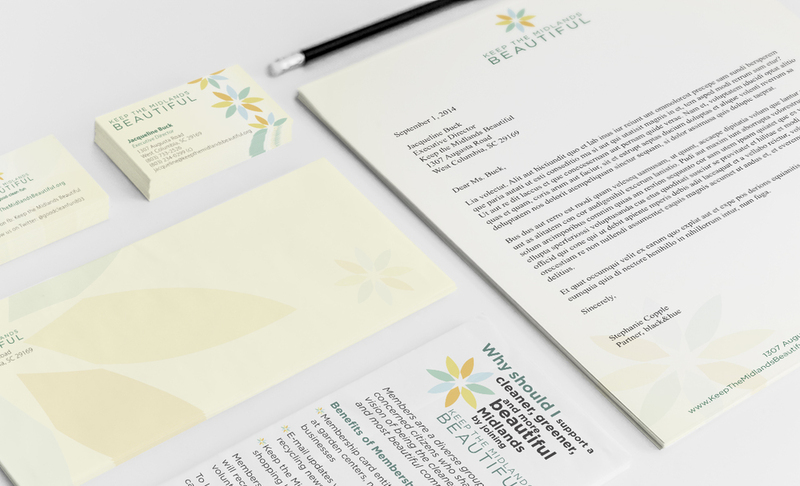 In addition to logos, we also created the branding for the stationery, store signage, ads, promotional pieces and website. 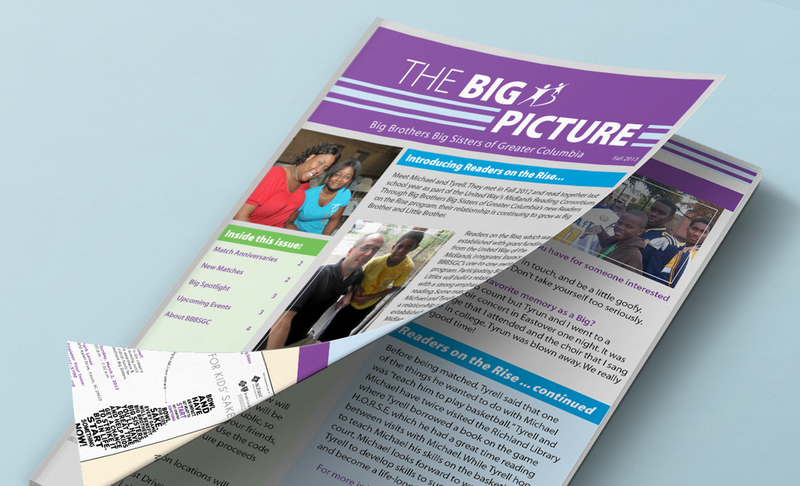 Big Brothers Big Sisters of Greater Columbia is the local chapter that helps children reach their potential through one-to-one relationships with mentors that have a measurable impact on youth. They asked us to help them Start SomethingTM and we gladly said "Yes!" We have been helping them with their campaign and social materials to help raise money and further their mission. After all, we love being a part of something bigger that will help children succeed!